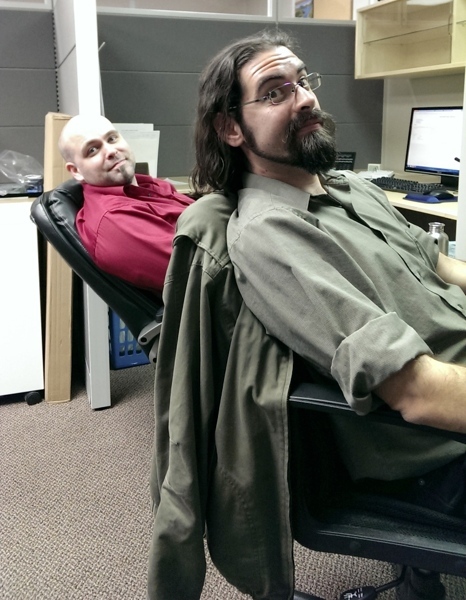 Daily Illuminator: Randy And Andreas: Our Retail Support Team! 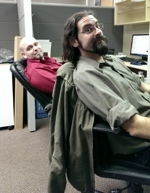 May 5, 2013: Randy And Andreas: Our Retail Support Team! Randy and I are calling Friendly Local Game Stores to get an idea of how things are going where the cards hit the table: listening to your concerns, giving updates on anticipated games, and providing marketing support. We will also be meeting with retailers at conventions. "I want to get in on the action!" I hear you saying. Well, all you have to do is make sure your store is in the Steve Jackson Games Store Finder, so your Store can be . . . you know, found (the name really says it all). If you're not, you can sign up here. For all you non-game store owner types, check here to see if your favorite stores are in the database. If they aren't, tell them to sign up!